Catherine entrusts her cancer diagnosis with Tom and Meredith because they are the best that she knows. Grey's Anatomy Season 15 Episode 7: "Anybody Have a Map?" Grey's Anatomy Review: Anybody Have a Map? Richard: I haven't been a chief in years, Frankie. Frankie: You'll always be my chief. Permalink: You'll always be my chief. Tom: I'm sure if you ask nicely that flight attendant could scrounge up a kickass sedative to knock you right out. Meredith: If you knew my history on planes you would not be making jokes. Permalink: If you knew my history on planes you would not be making jokes. Grey's Anatomy Round Table: Give James Pickens Jr. All the Awards!! 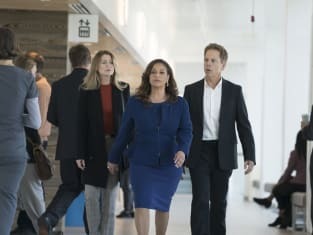 Grey's Anatomy Season 15 Episode 7 Review: Anybody Have a Map?